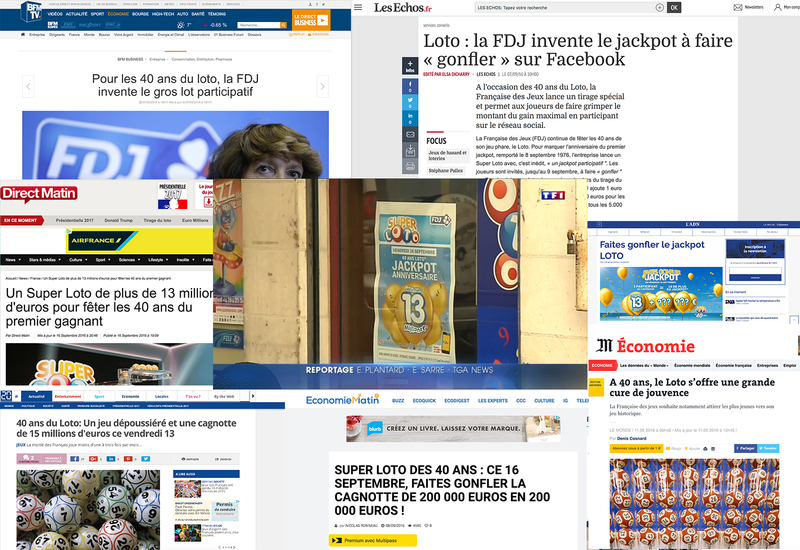 Loto, the French Lottery have 40 years. And let’s face it : for a brand is kindaaaa starting to feel old. So how can we celebrate our 40th birthday, and still be cool for young people ? Loto presents the first participative jackpot ever. Like any self respecting “young people” birthday, we created a Facebook event. But contrary to any other “young people” Facebook birthday event, this one could earn you a loooot of money. Well yes ! the simple fact of joining our event adds money to the final jackpot. So the more people join the event, the bigger the jackpot. 50% of french population exposed on 18-49 years. This lead to break our all time participation : 4,4 millions player on jackpot day.